I'm going to be serious here. On Wednesday night a bloke cycled down Park Street and never made it. He was not wearing a helmet, and this may have saved his life. If we can learn anything from this it is to wear a helmet. Please. 2. When in groups of five, wear a costume? I came past this rather bizarre image on my way home yesterday. 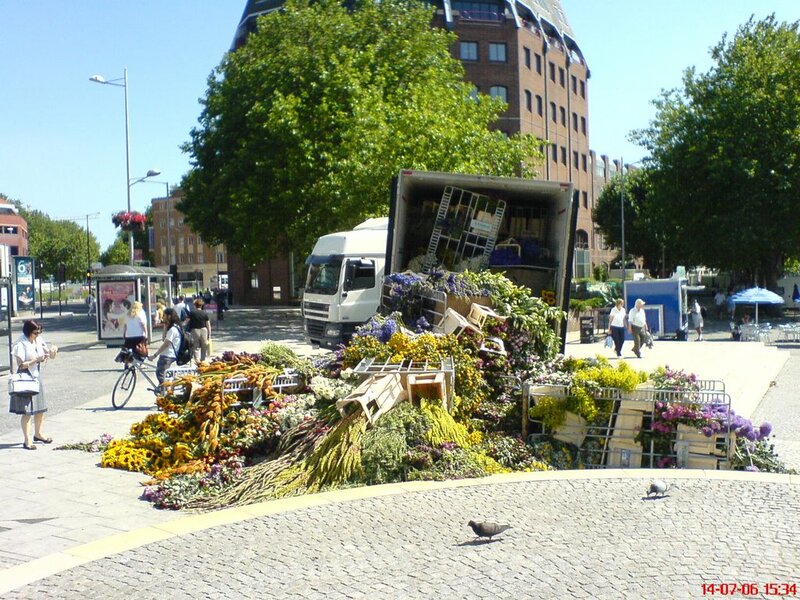 I believe it had happened just before I came past in the morning as they were arranging the flowers as I went past. I have no idea whatsoever how this happened, as this lorry is right in the middle of a pedestrian/bus area. I can only believe that it came careering down Park Street and somehow managed to end up here. Ooops.